With invite in hand, you knock on the door to the very large and sinister mansion. Costumed characters greet you as you find your way inside the house. Just as you are about to jump in and have some fun (you should, you’re all decked out in your “Day-of-the-Dead” costume), a sinister shrouded figure you thought was a partygoer, morphs into something worse and begins to chase you shouting insults with a few of his friends. Oh, what’s a girl to do? Run, that’s what! As soon as you find a good hiding place – you begin to try and figure out why you’re being hunted by these creepy shrouded figures, called Beyonders. They kind of remind me of the Dementors in the Harry Potter series. You figure out they have your friend Joe, so now you have to go into rescue mode. Gather clues and piece together the mystery as you try and save your friend in this haunted house! 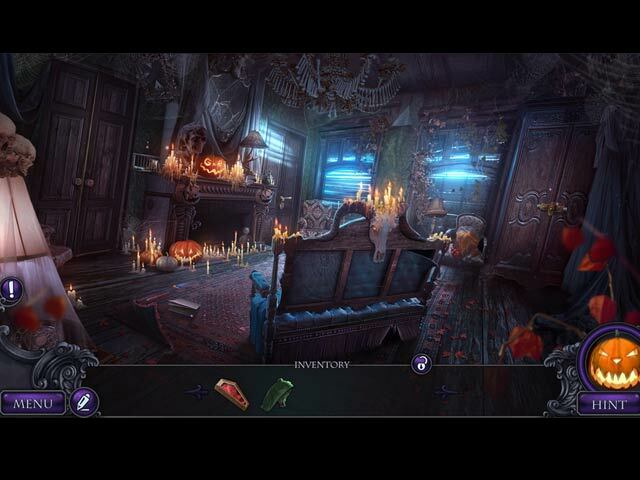 Halloween Stories: Invitation is another hidden object mystery game with beautiful graphics. From the time you look in the mirror to check yourself out before the party to when you are rifling through rooms looking for clues, you’ll find the graphics are lovely – and perfectly suited to the Halloween theme. Dolls eyes glow, face makeup is perfectly executed and done almost movie-style, and each object in the room looks very realistic. My favorite graphics in this game are the pumpkins who look a little like disembodied heads and mutter and mumble. Super creepy. There are the dolls too (did I mention I hate dolls?) to surprise and horrify you. As you’ll see, a lot of effort was put into the detail here, and it pays off when things jump out and wail, cackle, howl, and scream at you. As with the graphics, the ambiance suits the theme, and is well done. Soft blue and purple mist twists and swirls around your feet and above your head. Soft glowing candles and lamps light the room just barely, giving everything a subtle and creepy vibe. Dark, muted colors keep with the theme. A piano plays a soft, eerie tune in the background, doorknobs rattle, and floorboards creak – just enough to keep you slightly on edge. Things do jump out at you, making it a really great haunted house, so be prepared when you click on those shadowy figures. There is plenty to do as you’re trying to solve the main mystery. The hidden object games are plenty, coupled with collecting dolls (yikes), morphing objects, and puzzle pieces. As with other games like this, some of the hidden objects are just to unlock the real object you need, so you really have to think at times. A map of what you need helps you along – along with clues, if you need them. Choose a difficult level if you want to be challenged, or the easy level if you just want to move throughout the house on cruise control. 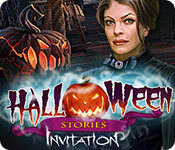 I really liked Halloween Stories: Invitation. I love Halloween, so this game really gave me a good dose of that. It was a great escape and fun to play. I didn’t mind getting stuck in the same rooms, as the objects were so creative, I discovered new things every time I went back to retrieve something. 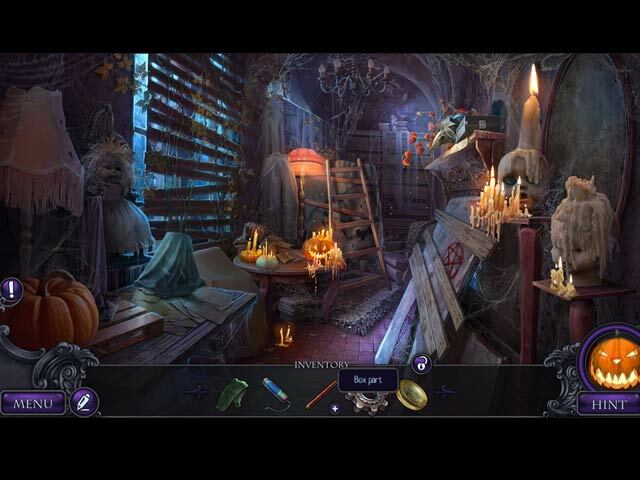 If you’re looking for an eerie, creepy hidden object game and you love Halloween, then this is the game for you!